The combo of blue and white will always hold a special place in our hearts… it is one classic color pairing never goes out of style. 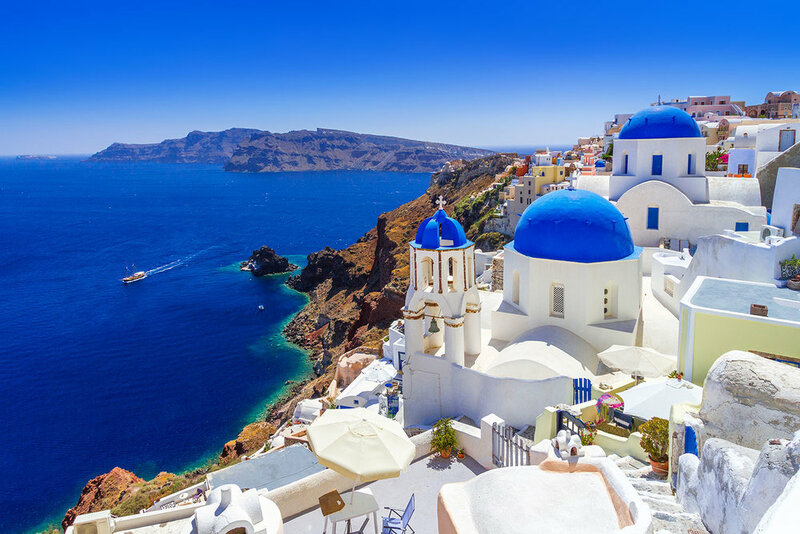 From seaside homes in Greece to Chinese pottery dating back hundreds of years, blue and white is a perennial favorite in designscapes the world over. We’ve combed the web for spaces that utilize Blue and White to perfection… keep scrolling to see these tableaux and to learn how to recreate the look in your own home. Timeless beauty that keeps it fresh! Ginger jars… how we love you so. You are useful, beautiful, and you pull so many styles together without seeming overdone. From fully functional storage vessels to dazzling decorative objects, Chinese ginger jars are universally recognized and adored. They come in a remarkable range of colors, patterns, and dimensions. 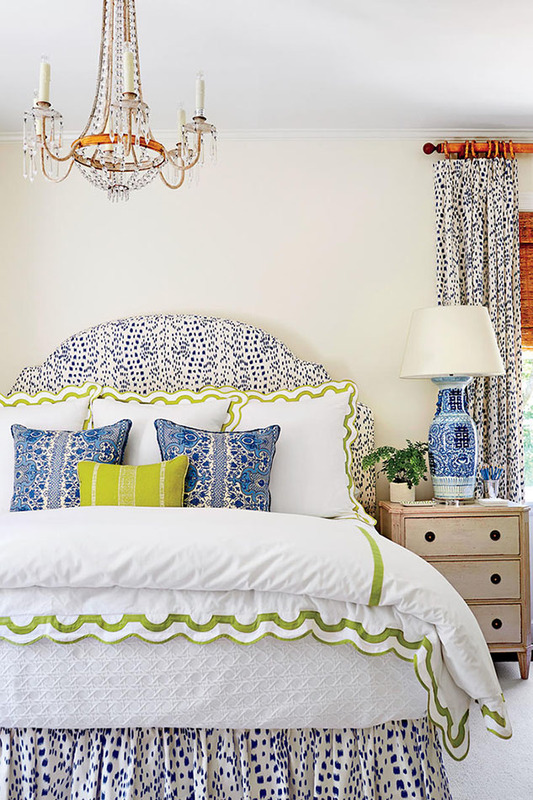 Add flowers, play with varying heights, combine motifs or go for a repeating pattern. These pieces are so versatile... the only limit is your imagination. Pro Tip: For a truly one-of-a-kind piece that is both interesting and functional, bring your ginger jar to the local lamp shop and have it converted into a bespoke lamp. When committing to a design element that you plan to live with for years, it’s tempting to go neutral and safe. That mentality was smart, particularly in the bygone days of labor-intensive installation and wall damaging glue. The good news is that innovations in applications and materials (think self-adhesive and removable paper) have made going bold and dynamic a reality for even the most fickle design aficionados among us. 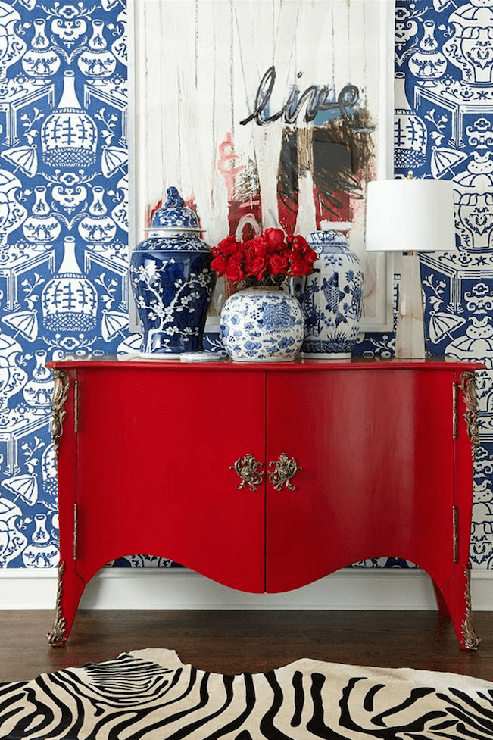 Chinoiserie wallpaper is a traditional design lover’s number one pick. 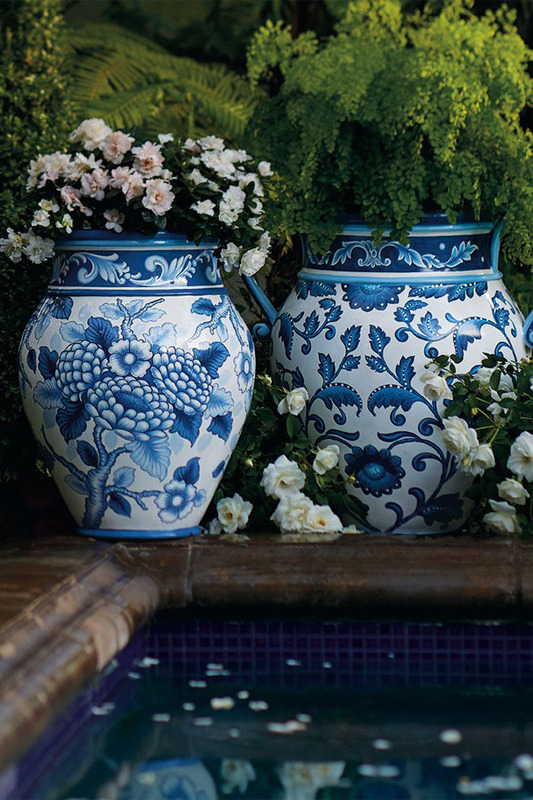 Whether it’s a monochromatic blue and white scene or boldly patterned, intricate vines and florals, chinoiserie motifs never get old. Surround a striking statement wall with a sophisticated sofa adorned with patterned blue and white throw pillows for a winning look. Occasional seating. Accent chairs. Statement lounges. No matter how you slice it, additional space for family and friends is necessary, and the right selection of these multipurpose wonders can really make your designscape sing. Think offbeat shapes and nontraditional styles or finishes. Adding something unique is a great way to pile on the appeal anywhere that needs an unexpected embellishment and a touch of personality. We love pretty much every single thing about the accent chairs chosen in the living room seen here. From the ginger jar accents to the luxe yet totally tranquil seating options, this room is utter perfection in blue and white! Like art for your floors. Tibetan, overdyed, hand-tufted… the verbiage on area rugs alone is enough to leave you running for a wall-to-wall carpeted safe haven. But if you can get past the intimidation factor, an area rug is hands down, the best way to tie your space together and add some pizzazz. Think of an area rug as artwork for your floor. That’s exactly what hairstylist to the stars, Marcos Proença did in his São Paulo duplex, designed by Fabrizio Rollo. The oversized custom rug is Tibetan which gives it a cultural depth and makes it 100 percent bespoke. Serene and soaring, trendy and timeless, the spectrum’s coolest color combo is hotter than ever. The classic palette has stood the test of time and history in decorating… and it’s sure to do wonders in your space also, so find something inspiring and go for it! 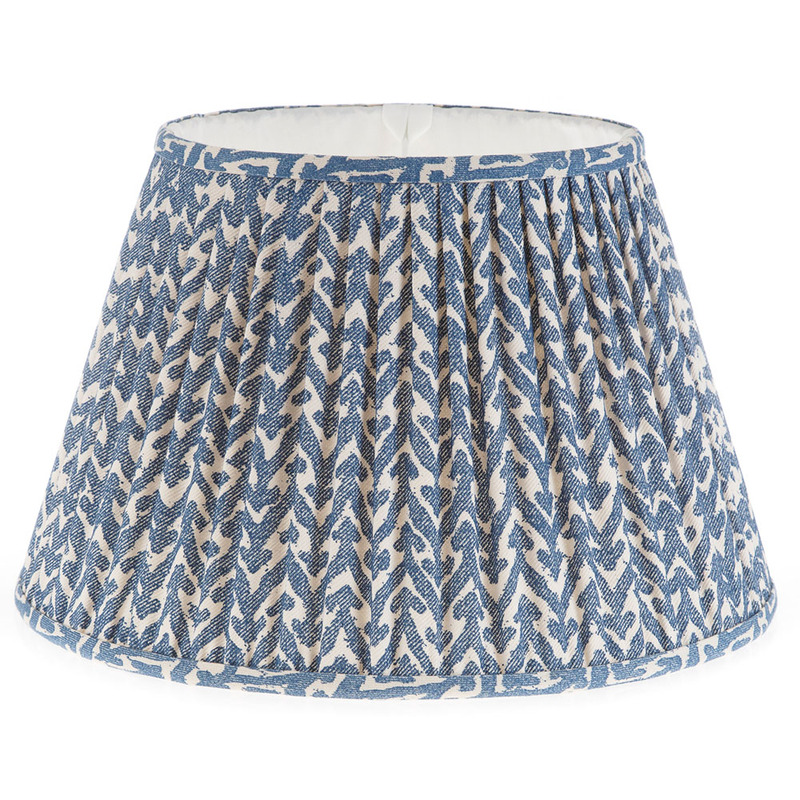 Gathered and pleated cotton empire lampshade by the incredible Fermoie. We are one of their EXCLUSIVE US retailers. Numerous sizes available. Contact us for details! Great in pairs, at the foot of the bed, or tucked under a console. Sophisticated curvy ming style foot. Contact us for details! Put a fresh twist on traditional rattan furniture! Available in 24 colors and finishes or your custom color. Contact us for details! Linen and cotton. Solid Reversible, Contrast Piping Feather and Down with Hidden Zipper Closure. Contact us for details! Linen Blend, Solid Reversible, Contrast Piping. Feather and Down with Hidden Zipper Closure. Contact us for details! Like what you're seeing? Want more? Check out our Blue and White Forever board on Pinterest!